Fun for everyone! Add to a collection, play with them or float them in a pool or fountain. 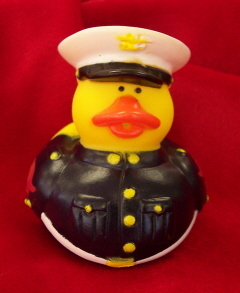 This adorable Marine Corps Duckie in Dress Blues is a must have for everyone. Also, check out our 4 pack of camo duckies. Start or add to a duckie collection today!